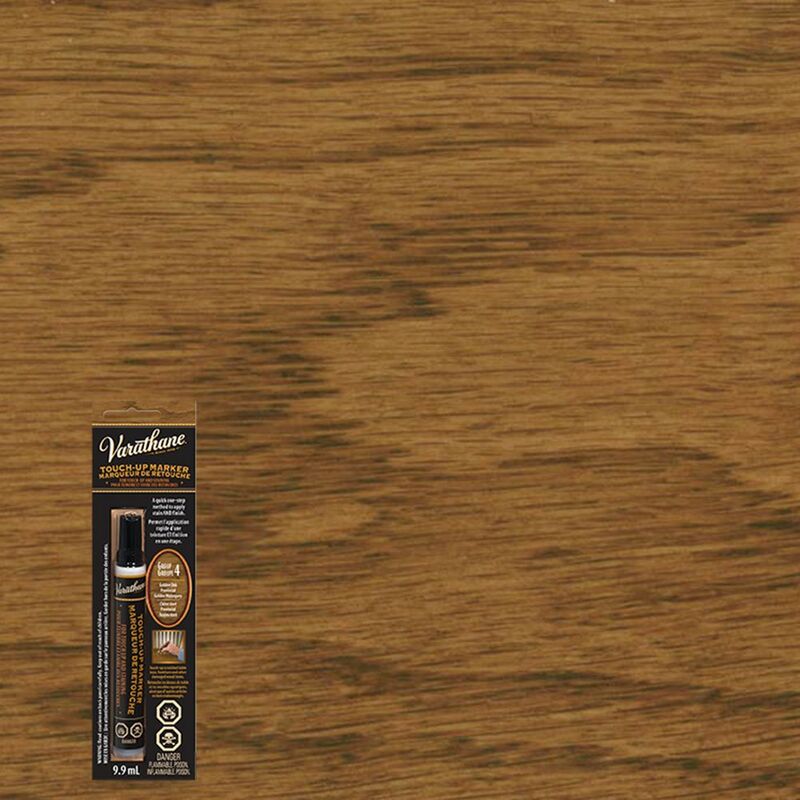 Hide minor scratches and nicks in stained wood with the Rust-Oleum Stain Touch-Up Marker. This felt-tipped tool lets you apply stain with pinpoint precisionfor easy, quick fixes. Also great for hard-to-reach areas and crafts. Looks like chalkwithout the dust! Works on multiple non-porous surfaces including chalkboards, glass, car windows, mirrors, metal, plastic and ceramic. Always test on new surfaces before using. Used by industry professionals since 1950, the Trade Secret Touch-Up Marker for medium tone wood is an easy to use solution in repairing nicks and scratches and worn areas on finished furniture, wood and laminate flooring, cabinetry, woodworking and more. One application stains and seals the damage. The trio-packed format of intermixable tones helps ensure you get the right colour every time. Used by industry professionals since 1950, the Grey Trend Trade Secret Touch-Up Marker is an easy to use solution in repairing nicks and scratches and worn areas on finished furniture, wood and laminate flooring, cabinetry, woodworking and more. One application stains and seals the damage. The trio-packed format of intermixable tones helps ensure you get the right colour every time. Varathane Touch Up Marker Group 4 9.9ML Hide minor scratches and nicks in stained wood with the Rust-Oleum Stain Touch-Up Marker. This felt-tipped tool lets you apply stain with pinpoint precisionfor easy, quick fixes. Also great for hard-to-reach areas and crafts.